Gutters may not be able to prevent a leaking roof, but it is nevertheless an important part of your roofing system. If you’re looking into having your gutters replaced, forget about cumbersome galvanized steel gutters, and choose aluminum gutters instead. Let us give you a closer look at what makes it one of the top choices for gutter systems. We use a high-tech aluminum alloy tested for better strength and rigidity compared to most other gutter options. Aluminum is naturally resistant to rust; you can even have it installed without an outer coating. 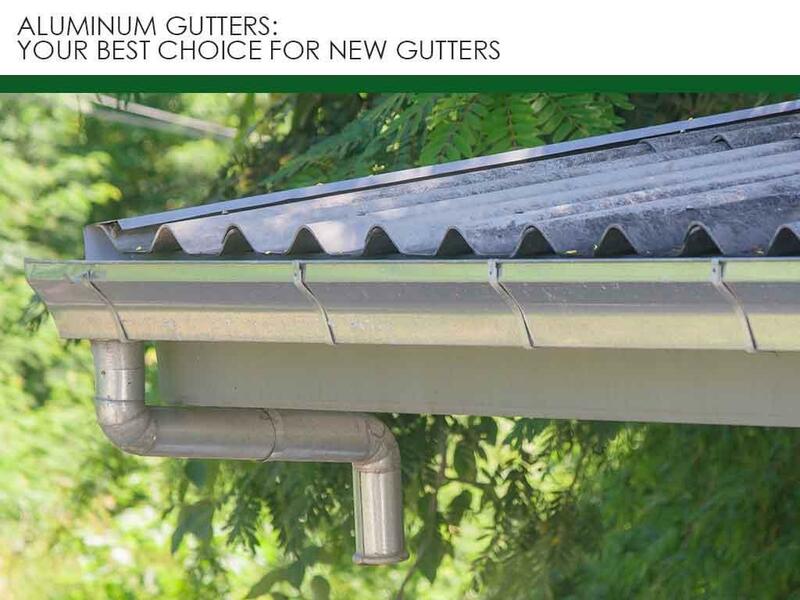 Aluminum gutters are seamless and custom-shaped on-site from a single piece of aluminum, which means regular cleaning is all you need to keep your gutters in good shape – no repainting and no sealant re-application whatsoever. Many people are under the impression that aluminum gutters are too soft, but the aluminum alloy we use in making these gutters are different. In fact, aluminum gutters are extremely resistant to cracking or shattering from temperature extremes. It’s also significantly lighter than most metals, which gives it more allowance for heavy rainfall without damaging the eaves. Another advantage of using such a lightweight material is that gutter installation takes a lot less time to finish, especially since there are no seams to attach and solder. Plus, our installation team has the skills and training to ensure an efficient installation process without compromising the quality of installation. Aluminum gutters are available in a wide variety of factory-applied colors, which are much more durable than typical exterior paint. In addition to being extremely convenient, the baked-on finish features an evenly smooth surface that holds its color, resists exterior temperatures and ultraviolet (UV) rays, and will not require repainting. We also offer skylight installation. Call Tedrick’s Roofing today at (877) 212-9355, or fill out our contact form to schedule a free, no-obligation roof inspection and estimate. We serve many areas in and around Seattle, WA.